On a dark and chilly Wednesday morning, a peleton of yellow jerseys hit the Centennial Park bike track as Team UnLtd prepares for the 2017 Bowral Classic race. Avid (and occasional) cyclists in the media and marketing industry have begun a series of social training sessions in the lead up to the one day Gran Fondo cycling event on 22 October 2017 which will see over 3,000 riders race across the rolling hills of Southern Highlands. The morning saw riders pedal through an hour-long laps session, after which they were treated to breakfast and coffee whilst hearing about the important work UnLtd’s charity partners KidsXpress do at their expressive play therapy center. Riders included Brian Gallagher (SCA), Dan Beaumont (The Royals), Nickie Scriven (Zenith), Luke Harvey-Palmer (Alive), James Yaffa (Yaffa Media), Paul Fisher (UnLtd), Ben Rockett (KidsXpress), Dave Anthony (KidsXpress) and Nina Nyman (UnLtd). Other riders to join the group soon include Paul Anderson (Ten), Toby Barbour (Starcom), Ed Harrison (Yahoo!7), Ben Sharp (AdRoll), Ashley Earnshaw (Carat) and Kerry McCabe (UnLtd’s Founder & Chairman). Anyone who’s ever dreamt of the glory of cycling their way to a yellow jersey should get in touch with UnLtd today to book a place and to nab one of the limited yellow UnLtd jerseys, before the deadline on the 31st of July. Currently Team UnLtd is only sporting two women, which we know is not reflective of the athletic prowess of the female contingent within the industry – so we need more women to prove it! Team members will receive free entry to the event (valued up to $240), a special edition yellow jersey to wear on the day, exclusive pre-event training dates with fellow adland cyclists – and an opportunity to give back whilst pedaling forward. 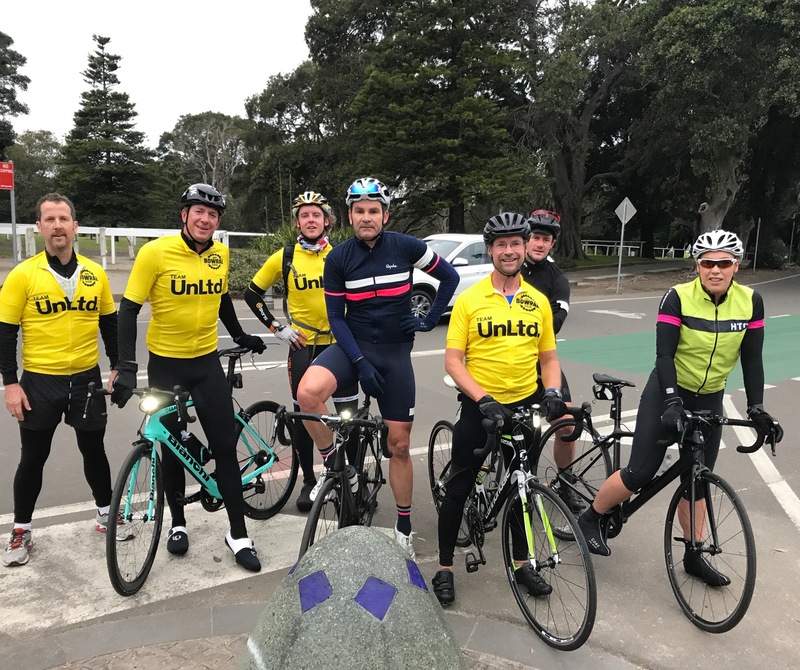 All riders for Team UnLtd will commit to fundraising a minimum of $1,000, with funds to be distributed to UnLtd’s carefully selected charity partners working hard to undo youth disadvantage in Australia. Ride options include the 160km Maxi Classic, 120km Challenge Classic and 45km Social Classic (with wine and cheese stops!). Find out more about joining Team UnLtd or to book your place, please email saarika@unltd.org.au to receive the discount code for free entry.